Nothing beats the colourful brilliance of pastels but they’re not the cleanest medium to use. Now you can enjoy all the beauty of pastel in a convenient, non-messy form. 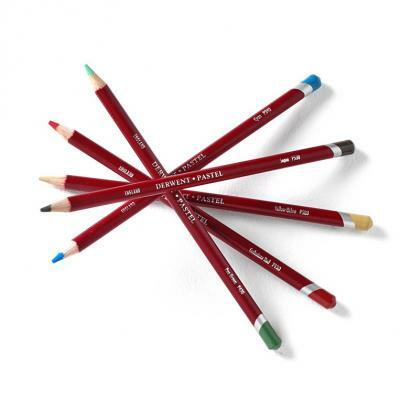 These wood cased Pastel Pencils have a soft, powdery texture which produces a velvety smooth finish, ideal for mixing and blending. And because they’re pencils, they’re clean and easy to control although you may not be able to resist the occasional smudge with your finger! There are no less than 72 fabulous colours to choose from.